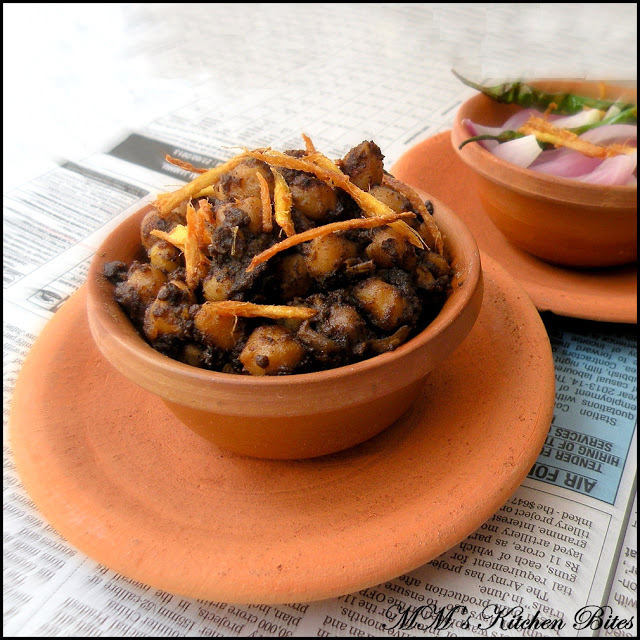 Home Chickpeas Pindi Chana…where we came from!!! Pindi Chana…the most famous export from Rawalpindi, Pakistan…My family is from pre-partition Punjab – or what is today, Pakistan…And most of the cooking done at home is from the ‘refugee era’…when they had to make do with what was available or rather what they could afford…to say life was tough would be an understatement…In those early years of struggle, most of the so called ‘authentic’ Punjabi food entwined slowly but surely with recipes from UP and Delhi. I have no stories about how the cook would make things at my great grandparents’ or my grandparents’ house…all of those stories got lost in dealing with life and building a new life in a ‘new’ land…By the time our generation came along, what we got was an easy, relaxed version of plain simple good food with no claims to authenticity. Coming back to food…most of the people know of Rawalpindi, thanks to Pindi Chana…and there are millions if not billions of versions of the so-called ‘Authentic Pindi Chana’ out there…this is ‘our’ authentic version!!! A couple of No’s to start with…NO and I mean an absolute NO to tea leaves/tea bags, garlic, aamchur, onions or tomatoes…a good to have is a ‘lohe ki kadhai’ (cast iron kadhai)…if you don’t have one (like me!) use a regular kadhai but pls. don’t use a non-stick Teflon coated kadhai. That would be sacrilege!!! For the spice powder: Dry roast all the spices, cool and then dry grind them together. Wash and soak chanas overnight. Discard the water and boil the chanas in fresh water with all the whole spices and salt. Drain the chanas and reserve the water. Fish out the whole spices added to the chanas while boiling and discard – their job is done! Mix the spice powder made earlier with the drained chanas in a bowl. Heat 3 tbsp oil in a kadhai to almost smoking point and then pour it on the chanas and mix. Keep aside. 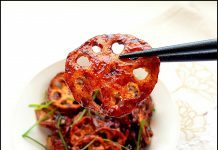 Heat the balance oil in the same kadhai, fry ginger juliennes till golden and crisp and remove. Light fry the green chilies, remove and set aside. Add the masala mixed chanas to the remaining oil in the kadhai. Stir for a few minutes on high heat (don’t let the masala burn). Add some boiled chana water and cover and cook for about 15 minutes. Remove the cover and dry out the water to the consistency you want – ideally served almost dry. Garnish with the fried ginger and green chilies. 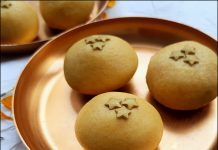 Serve with Bhaturas or Pooris (no one in our family likes it with Kulchas) and raw onions. Remember Pindi chana is not mushy so resist the temptation to over boil/pressure cook or to mash while stirring. The boiled chanas need to have a bite to them. Some people add tamarind pulp as well towards the final bit of cooking. Mom says that’s acceptable for a thick curry version but not for a dry version. Previous articleKheer Kamala/Orange Kheer….with wishes for a happy new year!!! Next articleTomato Tamarind Potatoes……breaking the spell!! it is simple irrestible.nice click.loved u r version. Drain and reserve the water and get rid of the whole spices. What does get rid of the whole spices mean? Then you said mix the spice powder with the drained chanas in a bowl. What is the difference between the spice powder and whole spices? I thought that you crushed the whole spices into spice powder. If you could clarify please. Lastly you said to use the "balance oil". If you could clarify this as well I would appreciate it. I love trying new dishes and I want to be sure that I make this dish correctly. If you could help me I would really appreciate it. Also I have looked online trying to find an online store that sells black cardamom seeds and I can only find green. Do you have any suggestions as to where I could buy some online or will the green seeds do fine? Awesome pindi chola. I love your pics. When you boil the chickpeas, you add the whole spices so that the chickpeas are infused with the taste. But, you don't want to be biting into the whole spices when you are eating the dishes, so you want to remove them. The best way to do this is to take a small kitchen spice bag (you get then in stores, a bit like a tea bag you can put things in – http://www.kitchenkrafts.com/product/spice-bags-set-of-8/pickling-tools-supplies?utm_medium=shoppingengine&utm_source=googlebase&x=GoogleProdAd&p=GoogleProdAd&s=CSE&r=GoogleProdAd&cvsfa=2792&cvsfe=2&cvsfhu=595930393532&gclid=CPSRmOeZ3cACFdGCfgods74ASg) or a piece of clean cloth and tie the spices into a bundle in that. Add this to the chickpeas and cook, remove and discard the bag when done!! The spice powder she refers to is the spice powder made from the first 8 ingredients (dry roast, powder). Balance oil is the left over oil from the recipe – recipe calls for 5-6 Tbsp oil, of which she uses 3 to pour over the chickpeas after she mixes in the spice powder. Hope this helps, a year later! Tried this tonight – it was REALLY good. It's great to have a chana recipe that is spicy and tasty without onion, garlic, tomatoes. Confession: I used premade chana masala instead of the spices you listed to roast and grind. But it worked really well. My chana pindi didn't come out dark brown like yours (since you said not to boil the chana with tea, and not to use tamarind). How do you get it dark colour? I made this today and loved it. One question though, is pindi Chana supposed to be dry? Or is this a dry version? My family usually prefers gravy version of Chana & am curious. Hi Usha, Glad that you enjoyed. 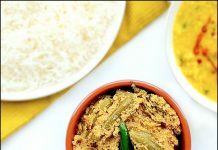 It is one of my favourite recipes and my absolute favourite blog post so every feedback makes me love it even more 🙂 Can be either – typically a thick gravy coating the chanas. Gravy shouldn't be too runny- if you do a gravy version do add some tamarind. Mona, I tried your Pindi Chana today… absolutely delicious!! I followed your instructions word for word except using ghee in place of oil. My husband, who does not enjoy dry curries, loved it too. This time it was almost completely dry; next time I'll try using tamarind for a thick sauce. Five stars and Thank You! You are awesome! This is my most favourite recipe now :). Have been using it ever since I found it and shall put it up on my blog with credits to you! hands down the best and easiest Chana/chole. I tried it with ready made chole masala. its the best, never making chole any other way!! thank to you for remembering and recreating it from your ancestors.